Tooth decay or cavities can affect anyone at any age. Cavities can occur for a number of reasons and dental research has shown that there are multiple factors that could affect your susceptibility to cavities. For example, the number of current decaying teeth or filled teeth you have can put you at further risk of developing more cavities. Likewise, if your parents or siblings have dental decay you may have a higher chance of developing cavities. The amount of saliva in your mouth, the types of foods you eat, and the amount of fluoride you’re exposed to also contribute to the development of cavities. Fortunately, there are several ways to reduce your chances of developing cavities. While it is impossible to do away with all of the bacteria in your mouth, there are several ways you can control it. Make sure you brush your teeth twice a day and floss daily. Limit the amount of fermentable carbohydrates you eat each day. Mouthwashes may be able to help reduce the amount of bacteria in your mouth as well as chewing sugarless gums that contain xylitol. When acid from food and other substances forms in your mouth, it begins to attack the teeth and deplete the teeth’s mineral supplies. Fluoride helps to strengthen your teeth and replenish the minerals. In the 1930s, dentists realized that people who were naturally exposed to fluoride had fewer cavities. Soon, the government began adding fluoride to water supplies. Later in the 1960s, toothpaste manufacturers started adding fluoride to their products. Fluoride has been one of the biggest contributors to cavity prevention. In some cases, for people prone to cavities and decay, your dentist may recommend products with higher levels of fluoride. Sealants, protective coatings, can be placed on the surface of your molars. The sealants prevent bacteria and acids from settling in and attacking the grooves of your teeth. This is a very effective way to reduce your chances of developing cavities on the chewing surfaces of your teeth. They can be applied on patients as young as six years old. In some cases, it may be possible for your dentist to put sealants on even if decay has already begun to form. If you suspect you’re developing a cavity, visit your dentist immediately. 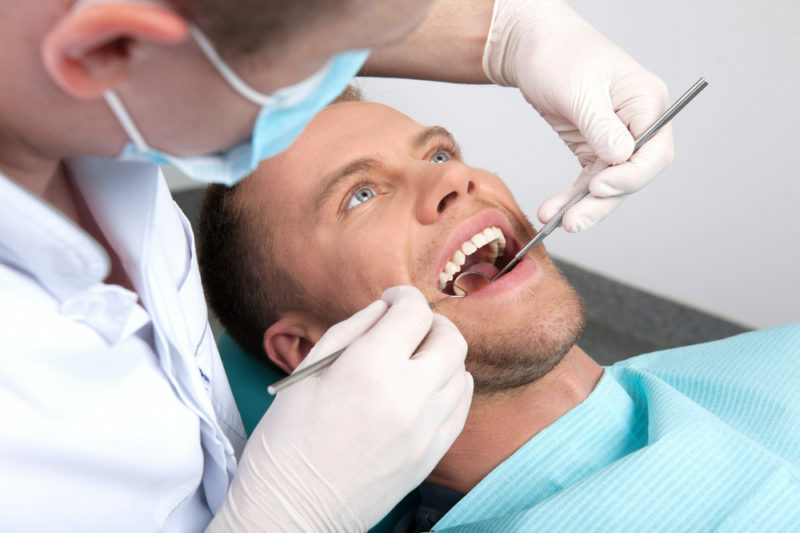 As always, it is important that you schedule regular visits with your dentist. In most cases, if the decay is caught early enough there are ways to prevent it from developing further.